Watch in whizzpopping wonder at some Roald Dahl inspired marvellous mayhem in this lively hands-on splendiferous science show! If you've ever wondered what's needed to get James' peach to fly, whether George is a genius scientist and how topsy turvy the Twits could really be, then this is the splendiferous science show for you. 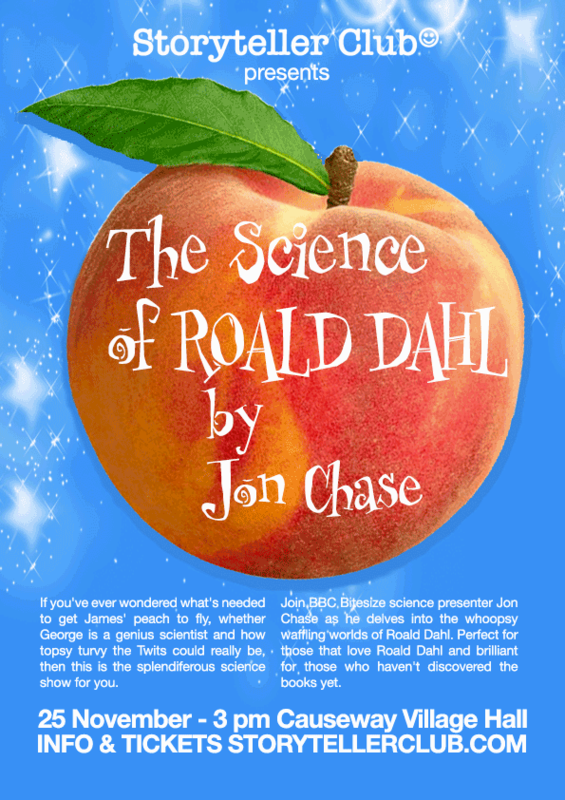 Join BBC Bitesize science presenter Jon Chase as he delves into the whoopsy waffling worlds of Roald Dahl. Perfect for those that love Roald Dahl and brilliant for those who haven't discovered the books yet. Presented by CBBC’s science communicator Jon Chase. Jon is the 2017 "Josh Award" Winner, he has an intense passion for scientific thinking and believes that knowledge should be made available in a way that allows as many people as possible the opportunity to gain access to it. Jon's presenting work includes CBBC Space Hoppers, Street Science for the Open University, 3 Science programmes for BBC Learning as well as Youtube science channels such as BritLab (formerly Head Squeeze). He is also a fully qualified rocket scientist! This event is organized by Storyteller Club.